Navy Rings available in Gold and Silver with your name and dates engraved on sides. 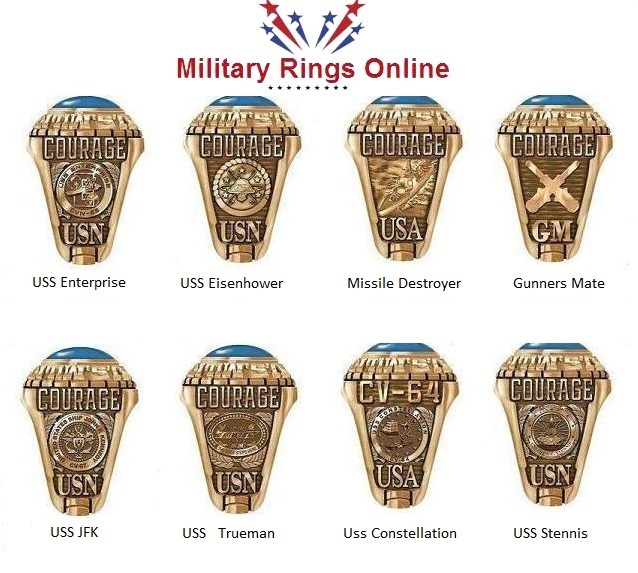 Custom Navy Rings for active and retired personnel. 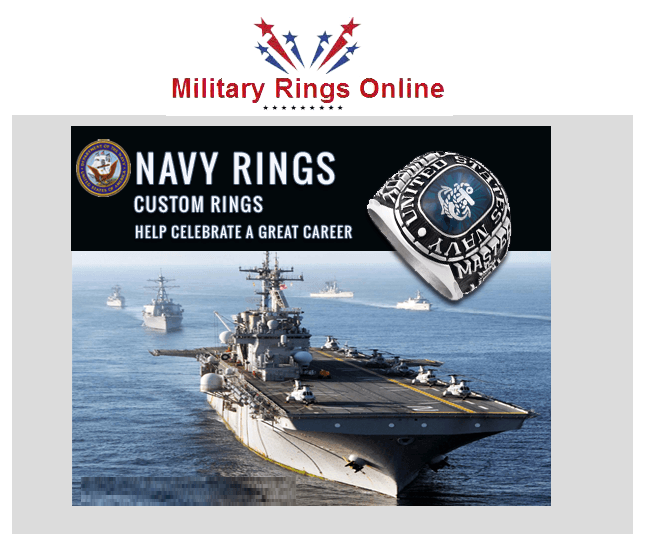 These rings may highlight a specific Navy campaign or symbolize a sailor’s career development over the date of enlistment. 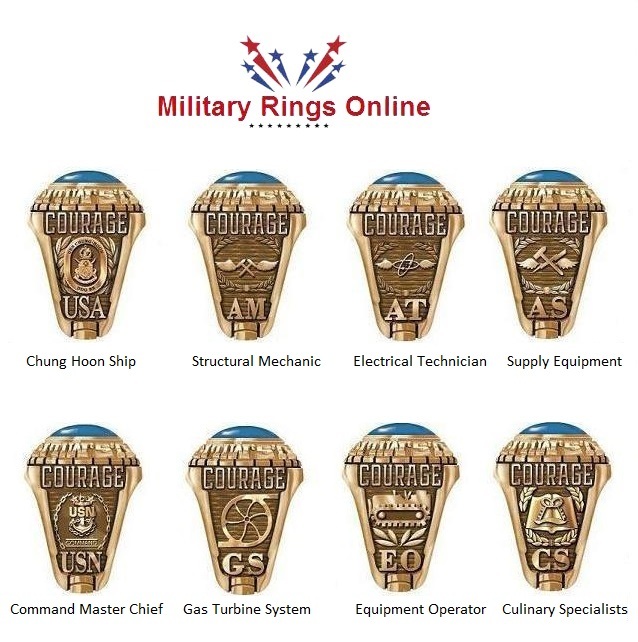 For many men and women in the Navy it is seen as proud tradition to wear personalized rings. They symbolize a sailor’s pride in the Department of the Navy. 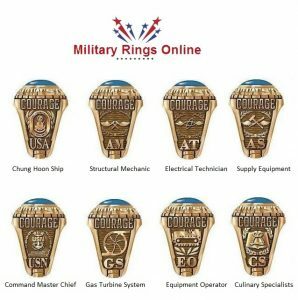 There are a nice selection of side emblems and insignia which will assist, in the creation of the ideal ring. The American flag is always beautiful and popular. The Master Chief Petty Officer and Chief Petty Officer with the anchor, the stars and the letters USN cast as the side emblem is always impressive. There are many stones to choose from, and these can be enhanced by inserting a design inside the stone by a laser process. Spend some time when you get to the online shop and see the entire range of what is available. 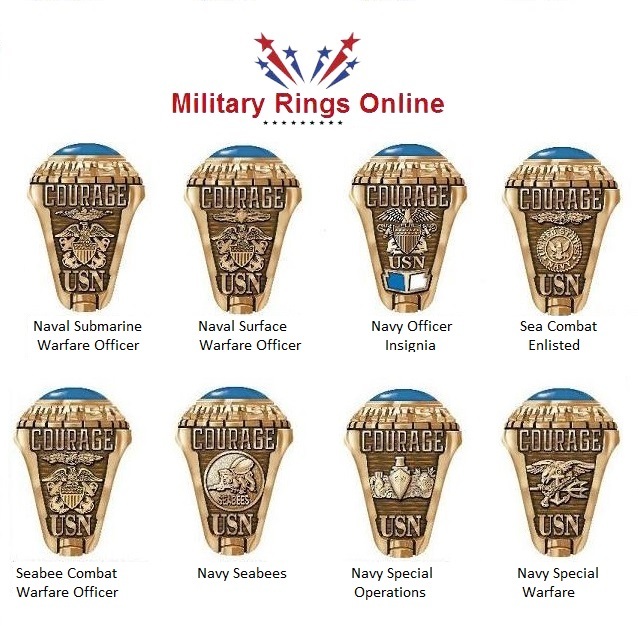 All the pictures are directly under the main image of the custom Navy Rings. 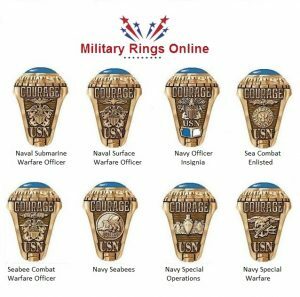 The wording United States Navy can be placed around the stone in a block lettering format. 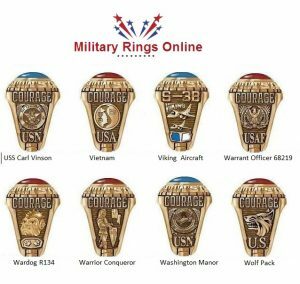 There are other options which you can select from the drop-down menu in the military online shopping store to complete the design of any Navy Rings. One of the most important things to remember is to get the size right. Our advice is to visit a jewelry store and have your finger sized. 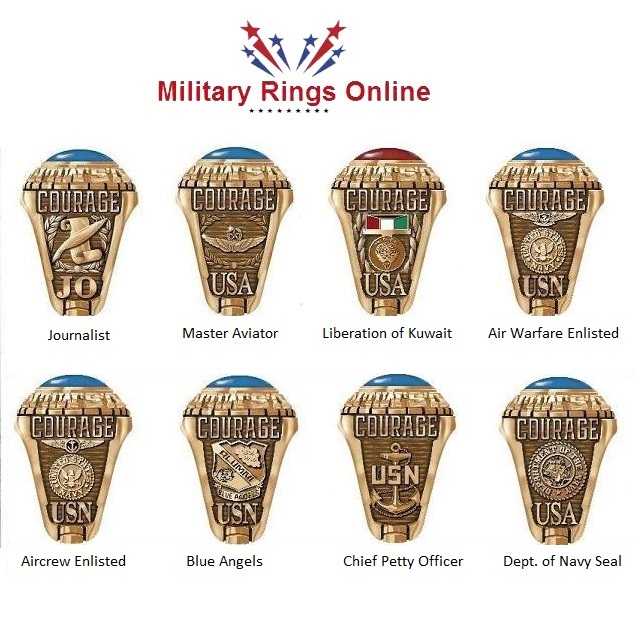 You can also decide to get a dedicated customized ring for your friend or loved one. 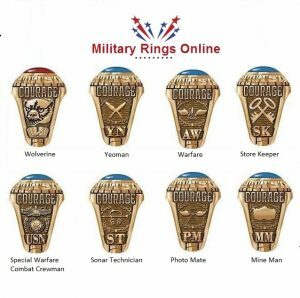 A customized ring allows you to be creative and add more features to the ring that you know will be appreciated by the person you are gifting. You can include a date that reminds the person of a particularly successful event. 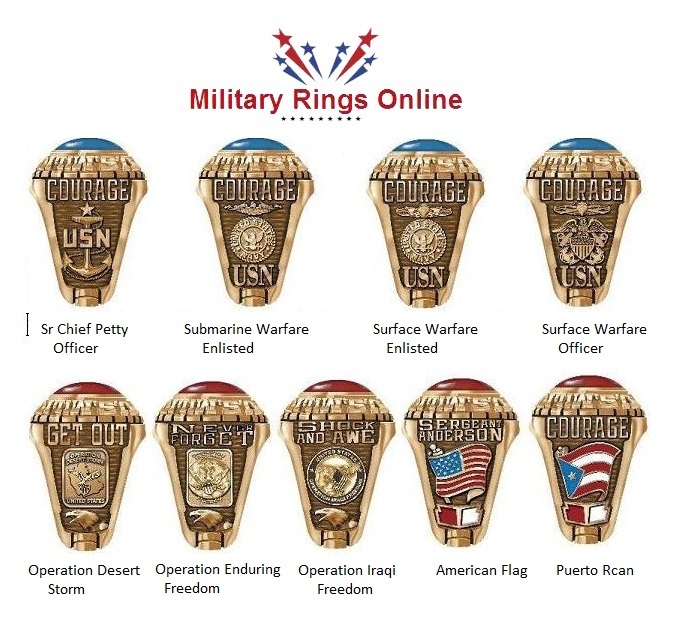 A particular war campaign, the unit served and a side emblem that inspires the person is popular. These rings are worn by active and retired navy personnel for various reasons. 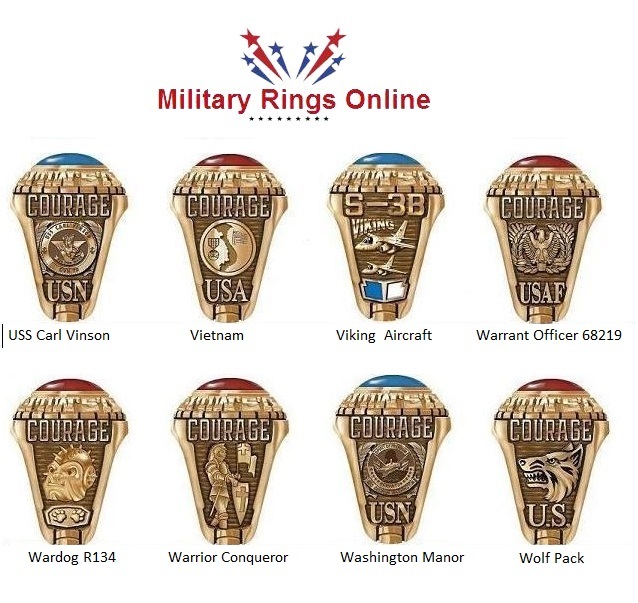 One important reason for veterans to wear these rings is to express the pride in serving in campaigns such as, Vietnam, Desert Storm and Operations Iraqi Freedom and Enduring Freedom. The most historic one of these is Vietnam, which was fought in the last century and lasted almost twenty years. Wars are often questionable, but what is beyond question is the courage, bravery and resolve of the United States Navy. These men and women make us proud to be Americans. 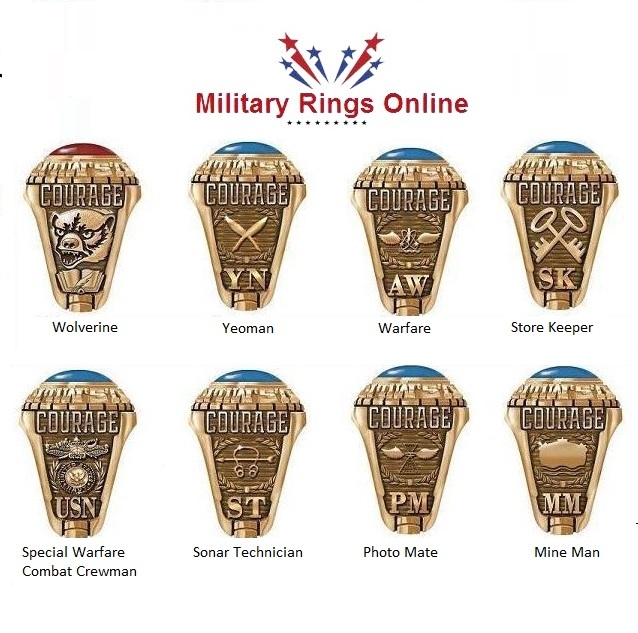 All of these rings are available in our store. 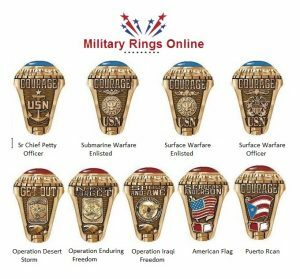 The delivery is approximately 4-5 weeks from date of order. If for a special occasion, order in time and don’t be disappointed.